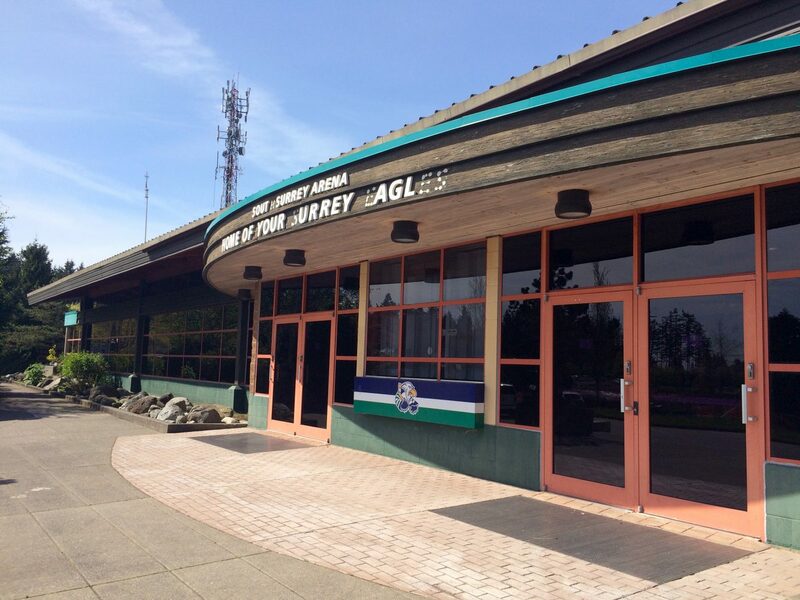 Home of the BCJHL Surrey Eagles, the Olympic sized rink at the South Surrey Arena provides fixed seating for over 1200 hockey fans! The arena also contains 20,000 square feet of exhibit space, multipurpose rooms and parking for 296 vehicles. As part of the community sport complex, South Surrey Arena is right next to South Surrey Athletic Park for even more playing fields and courts, and walking distance from the South Surrey Recreation Centre where there’s gymnasiums, fitness studios, child-minding services, and a café, just to name a few! The nearby-located Morgan Crossing shopping precinct features over 60 outlet stores and dining establishments, providing convenient access to everything visitors need!